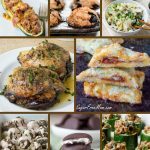 4 Low Carb dinner Menu Plans with shopping lists and sides all delivered to your email each week! Easy! Family Friendly! 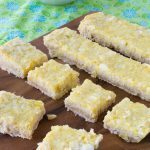 Kid and Picky Hubby Approved Recipes! Have for New Year’s Resolutions taken a turn for the worst? Have your healthy eating plans been sabotaged by stressful work weeks and a chore list that never ends? 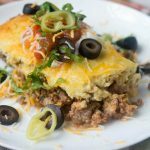 If you’ve just never even gotten into a good groove this new year and feel like you just need a little help in the organization of simple things, like meal planning, this 4 Week Low Carb Family Dinner plan is just for you! All the work is done for you! 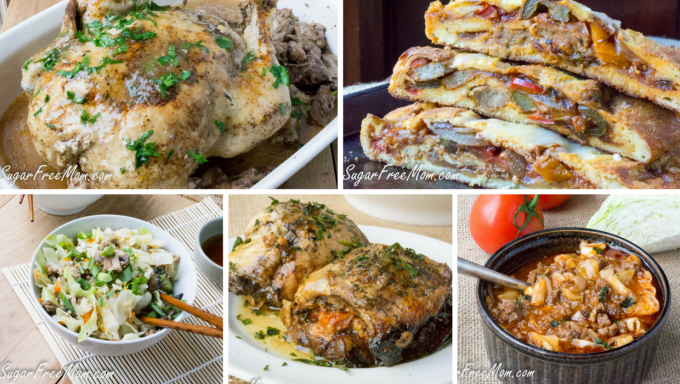 Using my recipes here on my blog, I’ve created a 5 day meal plan for 4 weeks. 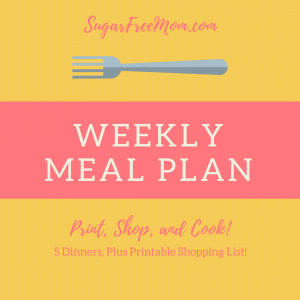 Each week contains the shopping list you need for 5 fantastic meals each week along with simple sides. 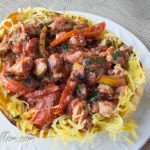 Many recipes can be prepped ahead and some prepared and heated the night you want them. 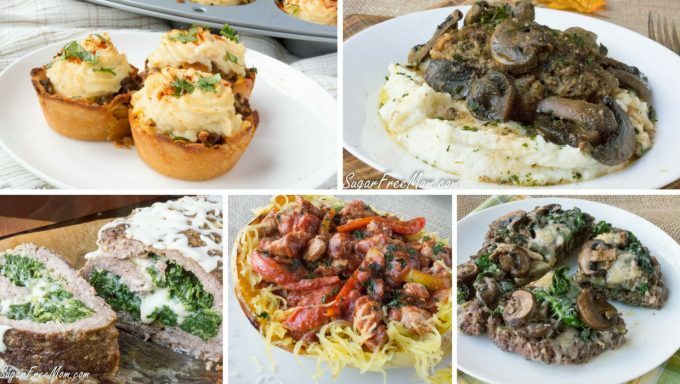 These meals are for servings of about 6. 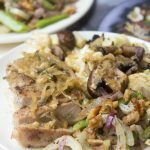 You will have plenty for left overs one night and hopefully enjoy a night out during the week as well, that’s why just 5 meals for dinner are provided. Everyone needs at least one night off from kitchen duties! 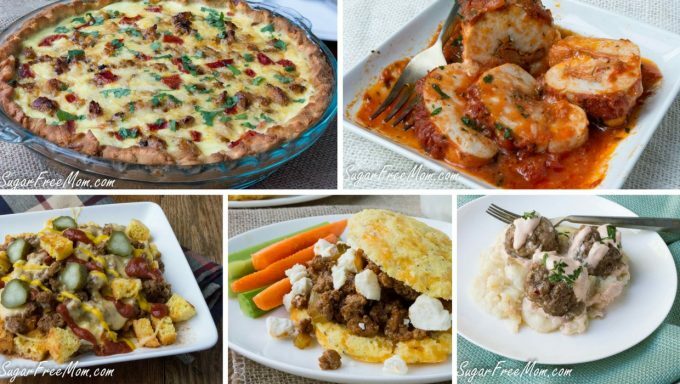 All menu plans include Main Dish Meals plus sides! 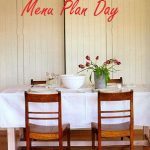 When you purchase the plan you will instantly receive the first weeks menu with shopping list. Menu 2 will come a week later for you to go shopping for the next week ahead! and the same will continue for weeks 3 and 4! 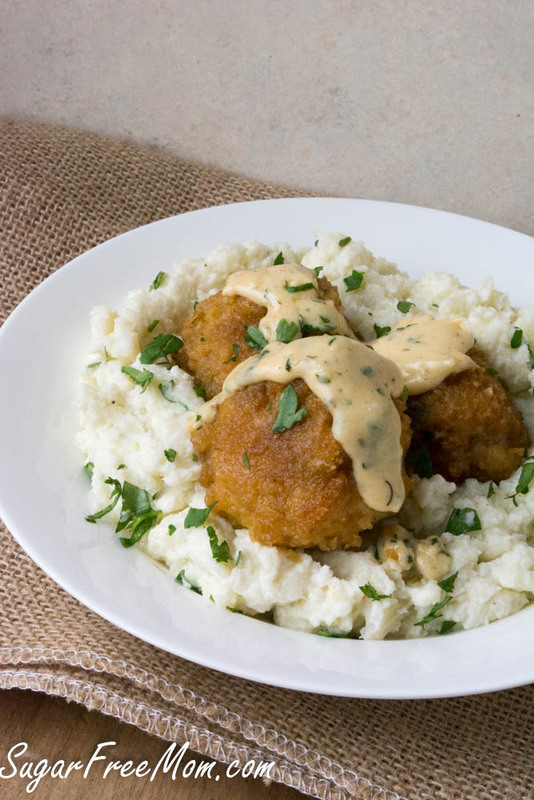 Cheesy Chicken Kiev Meatballs! 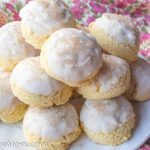 These were much loved by my family! Cheesy stuffed flavorful meatballs with a delicious outer coating! This is served over mashed cauliflower in the picture below. We also had plenty for lunch left overs the next day. 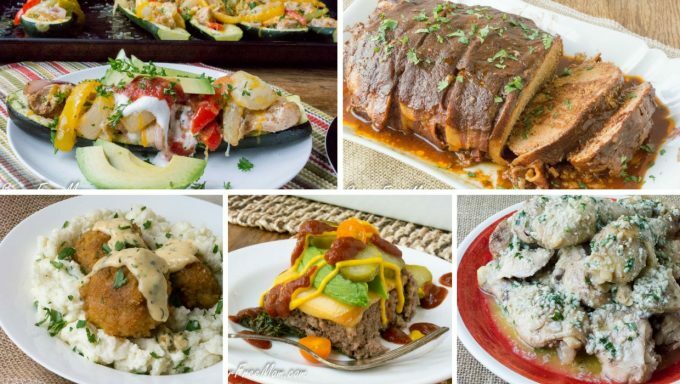 I hope this 4 week menu plan will help you continue on your way to your healthy living goals for this New Year! 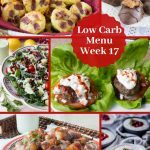 4 Weeks of Low Carb Dinner Meal Plans, Shopping lists and 1 Brand New, Never Before Published Recipe! 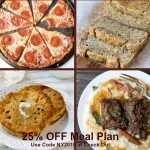 4 Weeks Meal Plans for Just $4.99! I have just bought the 4 week plan, I am using windows 7 and microsoft programs – neither of the suggested programs for opening week 1 will work please send me the download in Word or Adobe Acrobat so I can view it. I just purchased this but received it as a “Pages” file instead of as a .pdf (Adobe Reader) so I’m unable to open it. I purchased this and the first week looks great.. but.. I don’t have an instapot to follow those directions.. what is the alternative cooking method? Please roast the chicken in a 350 degree oven for 2 hours or until an internal thermometer reads 165 degrees. I got one week when will I get the other 3? Oops, I guess I missed that part. I found the answer. How much do the weekly meal plans cost on average? Is it just for dinner or for all meals of the day? Thank you! This is just for dinner and is only for 4 weeks. I just purchased this thinking it was all 4 weeks…the wording is misleading. I’d like to get a refund on this so I can purchase the 4-week plan instead, please. You will receive the 2nd week in 5 days from the day you purchased and received the first week. Then the 3rd week and fourth each 5 days after the next. I didn’t want people to feel overwhelmed with all 4 weeks at once so i chose to have them go out one week at a time. Do you still want a refund? What is the nutritional info on the Cheesy Chicken Kiev Meatballs? I would have appreciated the nutritional info on each recipe. I did like that in only 1 instance was a recipe duplicated for the 4 weeks . All the nutrition info should be in the book right near the recipe for the Kiev meatballs. 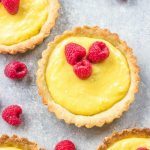 All nutrition info is included for each recipe. There are many that have amounts. The meat, veggies, milk, but some are just staples like butter and eggs. I purchased my meal plan yesterday and have not received it. When will I get it? I can resend you the link but please check your spam folder. You should have received a download link for week 1 and then the next weeks, 2, 3, and 4 come weekly after that.